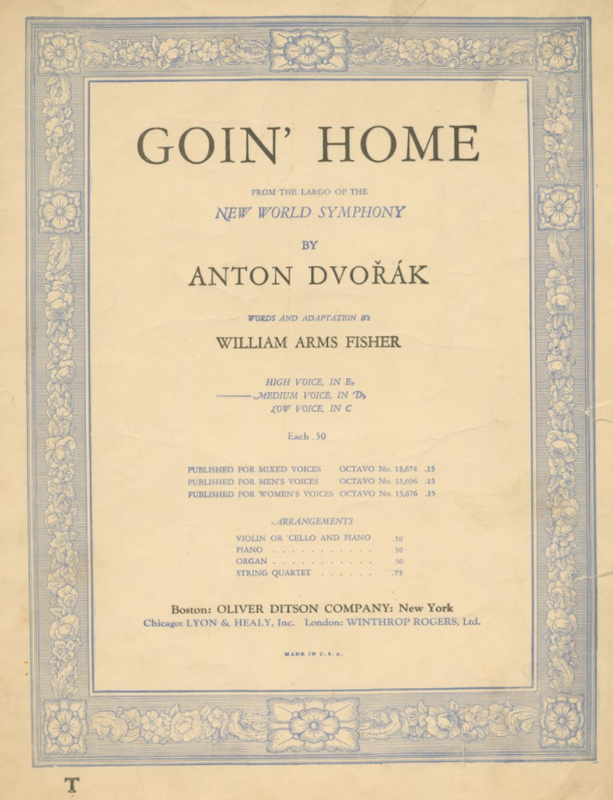 This entry was posted in Emily Hynes and tagged Dvořák, Goin Home, New World Symphony, sheet music, Sheet music consortium by hynes1. Bookmark the permalink. You highlight well just how complicated it is to evaluate (or judge) historical cases of appropriation and erasure. 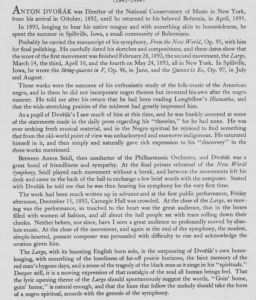 I would argue pretty energetically against anyone who said we should give up the New World Symphony, and the first-year writing class I’m teaching right now is thinking about arguments that justify Dvorak’s appropriation in the moment in which they happened. (Spoiler alert: those arguments are stronger than you might think.) 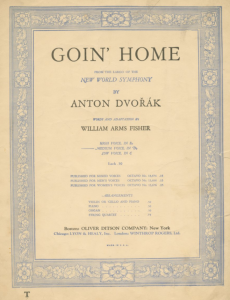 Rather than blaming the composer or the piece, though, I think we’re ultimately best off treating this as a piece of history, something to learn from, and something to teach from. Thanks for this thoughtful post, and keep up the good work!